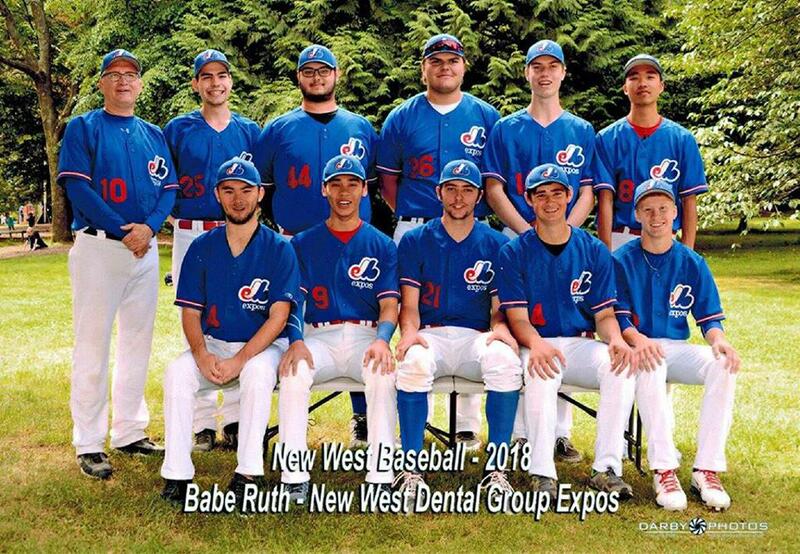 The 2018 season was a smashing success for the New Westminster Expos Babe Ruth team (ages 16-18). The boys from the Royal City were undefeated league Champions, with a record of 13 wins and no losses. They won their games by an average score of 11-2, and were completely dominant against the opposition from Whalley, North Vancouver and Langley. Head coaches Joe Marklund and Jason Andrew practiced the team intensely and the hard work paid off. Senior players such as first baseman Jason Powers and shortstop Michael Bauer led the team offensively, while starting pitchers Nick Coles, Alex Lazecki and Liam Morrison were stellar on the mound. Many of the Expos are a part of 'Team British Columbia', competing in the Northwest Regional Babe Ruth Championships taking place in July in Gillette, Wyoming, in July. Best of luck, boys!